They’re the cat’s enemies. They can soak the blood of your lovely cat. They’re the beginning of more infections. They’re ear mites. The scientific name for ear mites is Otodectes cynotis. These are extremely small parasites that can infect your cat’s ears. Ear mites are highly contagious. They feed on the tissues and the blood of your pet. They can be found in your cat’s paws, fur, and ears. Cats can spread ear mites to your dog or other pets around them. The life cycle of an ear mite is 21 days. In no time they can multiply and infest your cat with hundreds and thousands of more mites. If timely treatment is denied or delayed, it could result in a permanent loss of hearing for your adorable pet. How to get rid of ear mites in cats naturally? Ear mites in cats can be treated easily when detected. First and foremost, clean your pet’s ears and apply the drops recommended by your vet diligently for 7-10 days. These drops are safe and can also be used on kittens. Since infested mites spread throughout your cat’s body it is imperative that you also treat the body with medication. Bathe your cat with an anti-parasite shampoo. Anti-parasite shampoos are easily available in pet stores, supermarkets, or can be ordered online. Be warned that if you cat is neglected and his ear mites are not treated on time, it could also lead to other serious complications. As they say, “Prevention is better than cure.” Take precautions to avoid ear mites. Use topical creams at least once a month to prevent future ear mite infestations. Ear mite medicine for cats will also protect your cat from other serious and life-threatening infections like heartworm, ringworm, fleas. hookworm and roundworm. Can humans get ear mites from cats? Other species of animals can get ear mites, but this does not apply to humans. Humans are safe from these parasites. They could get transmitted to humans while cuddling or through a casual contact with cats, but they don’t survive for long in the human body. How to clean cat ears mites? It’s plain common sense. Before you start using any of the remedies or oils we have suggested below, clean-up your cat’s cage and bedding thoroughly. Put it out in the sun for 2 hours. Mites can’t stand the sun. They thrive in warm and moist places. The ultraviolet rays of the sun also act as a natural bleaching agent and disinfect the cage and bedding. Alternatively, you could also wash them with detergent and bleach. Vacuum the corners of the house, carpets, drapes, and upholstery thoroughly. What do ear mites in cats look like? Ear mites in cats are so small, they are virtually invisible. They can be detected by a vet through a special instrument called the otoscope. They are tiny 8-legged parasites that feed on the wax and oils in your cat’s ear canal. What causes ear mites in cats? 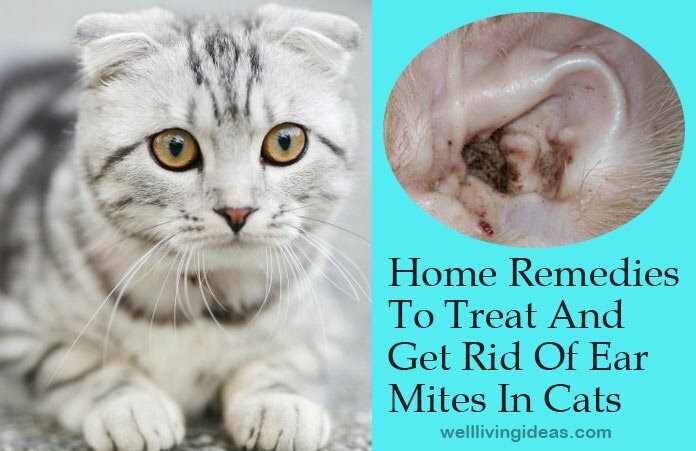 Ear mites are mangy parasites that can spread to cats from other pets or be around other animals infected with mitesThey are highly contagious. They spread from contact with other pets at home or outside. Ear mites on cats are usually more common than dogs. Ear mites will cause a lot of discomfort for your cat. If you notice your cat having the following symptoms, it’s probably ear mites and you need to take a closer look. Tilting the head to one side due to extreme discomfort. Some cats may be very sensitive to prescription or over the counter medications. It would be advisable to try some natural home remedies to destroy the mites and give relief as they are safe and are free from side-effects. Natural acids, sugars, tannins, alkaloids, and resins present in apple cider vinegar are powerful and packed with anti-bacterial and anti-fungal properties. They are very effective for treating bacterial and fungal infections. Mix one portion of apple cider vinegar with one portion of water. Use the spray twice a day for a week to get rid of ear mites. Yellow dock root is a herb. The tea prepared from the root will act as an astringent and a powerful anti-inflammatory to soothe the itch and inflammation at once. The active ingredient anthraquinone in yellow dock root has been used to treat multiple skin problems for ages. Boil a teaspoon of dry yellow dock root in 1 cup of water for 10-15 minutes. Strain the liquid into a small bottle. Use a dropper to drop about 8-10 drops of the liquid into each ear. Repeat it twice a day for at least 2 weeks. 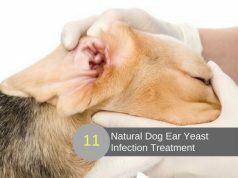 Cleaning from within is a must for treating ear mites in addition to topical natural sprays or drops to get best results. Thyme is loaded with antioxidant, antiseptic and antibacterial properties. Nettle is known to act as an effective astringent and anti-inflammatory which soothes the itch and reduces swelling in an around the affected ears. Boil them in a quart of water for 5-7 minutes. Feed your cat an ounce of this liquid 3 times a day. Repeat on alternate days to cleanse your cat from within. Detoxifying not only helps get rid of bacterial infections from ear mites, it also gets rid of other toxins and undigested food in the stomach and gut, keeping your cat healthy and strong to combat any infection from outside and within. Honey is the age-old remedy for treating bacterial infections. It also has antibiotic and anti-inflammatory properties. Wipe it generously on the affected ear of your cat and gently massage. Let it sit for about 10-15 minutes. Wipe it with a wet wipe or wet towel. Use olive oil for ear mites on cats. The smell of olive oil irritates ear mites. On smelling it, they gradually move out of the ears, soothing the itch and giving your cuddy ball of fur fast relief. 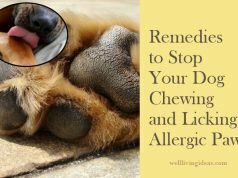 This remedy is recommended only for early stages of ear mite infestation. For advanced stages see your vet. Fresh garlic is a natural antibiotic and works well on ear mite infection. Heat 2-3 cloves of crushed garlic with a tablespoon of olive oil. Strain the oil into a small bottle. Using a dropper drop 5-6 drops of the oil into each ear. The all-natural colloidal silver is an effective remedy to treat any kind of bacterial, fungal or skin infection. It also acts as an antibiotic and speeds up the healing process. Colloidal silver, on contact with the ear mites, suffocates them in 5-6 minutes and gets rid of them. It is readily available in any drug store. Use 5-6 drops for each ear. Also, apply a little around the earlobes. Repeat for a week to get rid of ear mites for good. Calendula oil is known for its anti-fungal and anti-inflammatory properties. The essential compounds in them called are rutin and narcissi help in soothing the skin, reducing inflammation, and healing wounds. Warm a cup of water. Mix half a teaspoon of sea salt with 1 teaspoon of Calendula oil into the cup well. Put a few drops on the earlobes and massage gently. It’s a wonderful way to sanitize your cat’s ear and get rid of those pesky mites fast. Repeat it once or twice a day depending on the severity. 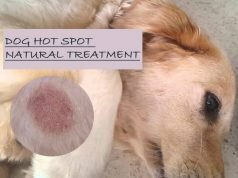 Will not only soothe the skin and heal the area, it will also prevent the mites from returning. Apply a small amount in and around your cat’s ears. Several tests have been conducted to prove the efficacy of mineral oil. Massaging ears with mineral oil twice a day for just 15 days could offer significant relief to your cat. Try it for yourself. Dip a cotton ball in mineral oil or squeeze the optic ointment on it. Gently dab it in and around your cat’s ears. Massage it gently for 15 minutes. Repeat it every other day for 15 days to free your cat from the mite menace for good. Take an eye dropper and fill it to the top. Gently squeeze the dropper releasing 4-5 drops into each ear. Squeeze a few drops around the base of the ears and gently massage for 30 seconds. Sulfur has a potent smell. It has strong antibacterial properties. It kills the mites on contact and dehydrates them making them inactive, and eventually getting rid of them. Make a thick paste mixing sulfur and purified water. Apply it in and around the cat’s ears. Wipe it with a warm towel. Repeat once a day for a whole week to see best results. Lavender oil has a strong fragrance that irritates the mites. It also comes packed with antibacterial, antihistamine and anti-inflammatory properties. Vitamin E oil has natural anti-oxidants which help in healing wounds and keeping the skin supple and healthy. Add 10 drops of lavender oil in a bowl. Squeeze the oil from 3-4 vitamin E capsules into the bowl. With the help of an ear dropper release, 5-6 drops into each ear. Repeat once a day for 10 days. Hydrogen peroxide is a powerful anti-fungal and anti-bacterial. It kills the ear mites on contact and clears up any waxy residue and build-up. Wipe the ears thoroughly in around the infected area. Repeat twice a day for a week. Almond oil contains oleic acid and linoleic acid which exhibits anti-inflammatory properties. Almond oil is also rich in vitamin E which is essential for healing wounds and repairing the tissues. Natural almond oil is available easily in pharmacies or supermarkets. With the help of a dropper drop 5-6 drops of pure almond oil into your cat’s ears. Dip a cotton ball in almond oil and dab around the ear region. Repeat once a day for 2 weeks. These remedies are recommended for mild to moderate cat ear mite infestations. For severe infections and infestations, it is advisable to take your pet to the vet.